Documentary on moon-wood and massive timber construction. Do you want to learn more about Holz100 building system and moon phase harvesting timber? You will find all the answers in our informative and inspiring video. You do not want to miss this. ​0% TOXINS, CHEMICALS & VOCs. 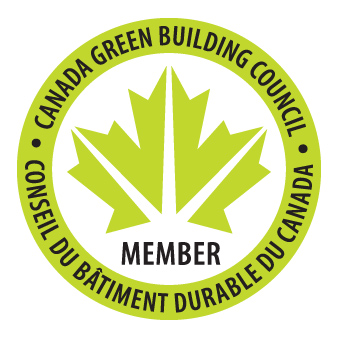 We are an advocate member of LEED & the first building component system ever ​to receive a GOLD Cradle to Cradle certification. ​Our prefabricated building system saves time & money in planning, assembly and completion which saves time & money with pre-cut wiring and plumbing. Assembly is completed in a few days and is ideal for private customized homes. 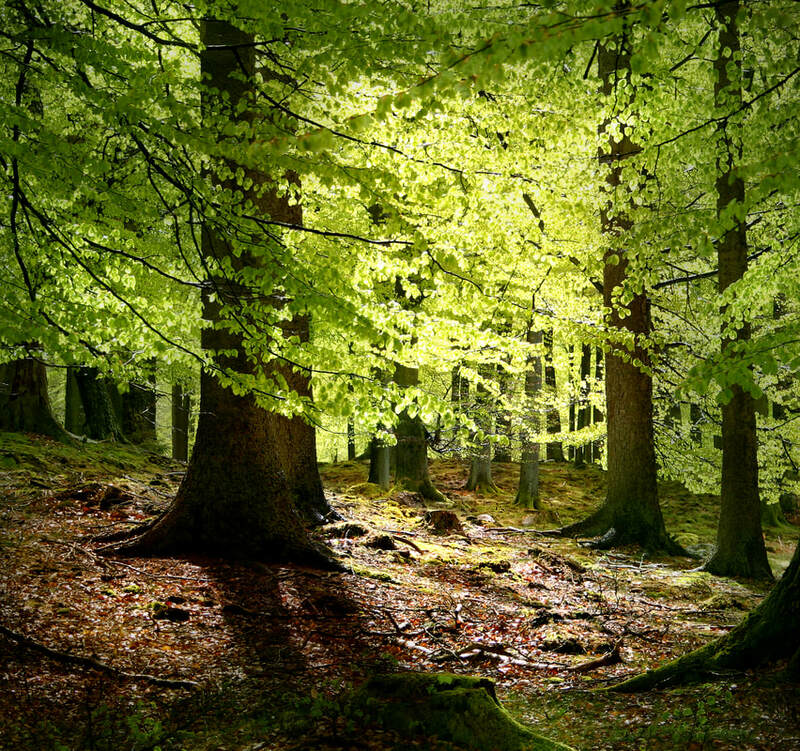 We only use wood certified by FSC and PEFC to ensure that our products come from responsibly managed forests that meet strict environmental and social standards. 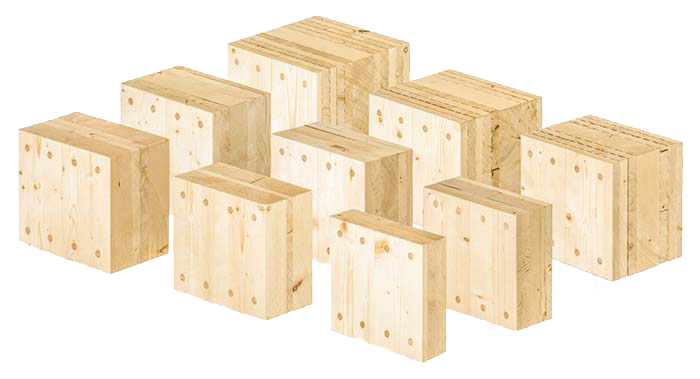 From planning to installation, Holz100 guarantees high precision, and quality only using 100% pure solid wood. A Holz100 home can be built in any architectural and interior design possible inside and out - We make everything possible. ​DESIGN IS LIMITED ONLY BY YOUR IMAGINATION. 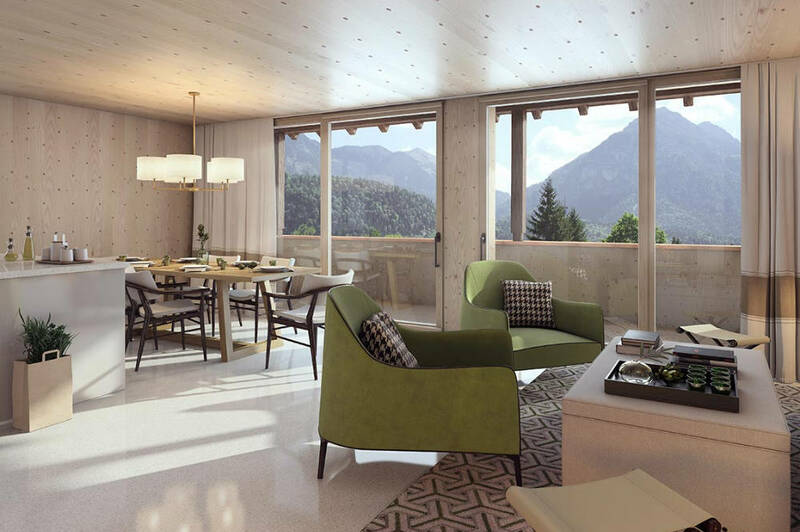 Holz100 has set records in fire safety, heat insulation, energy savings, indoor air quality, soundproofing, radiation shielding, and resistance to storms, floods & earthquakes. Our wood is harvested during a specific lunar phase in the winter when the trees are hibernating. Harvesting at this crucial time is a simple and natural way of protecing the wood from insect and fungus, thus increasing its durability. 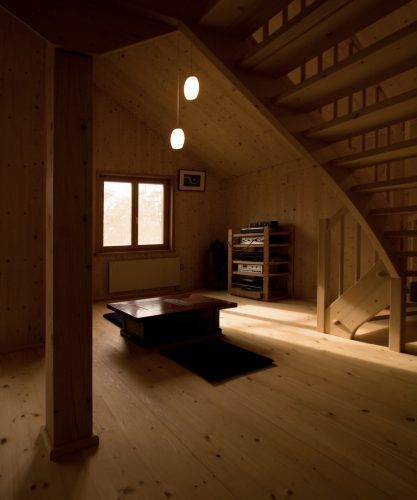 Here are some worthwhile recommendations for proper wood construction. 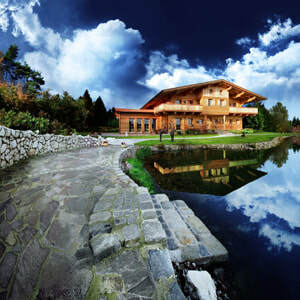 A wooden house with a pool and sauna was a long-cherished dream for the homeowner.